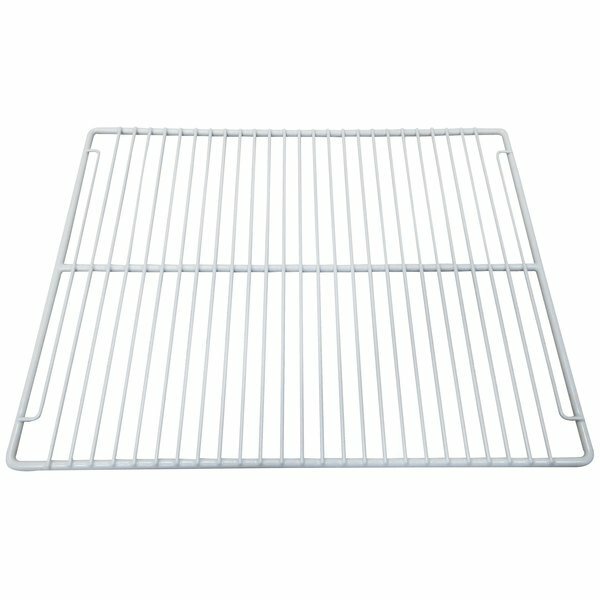 Turbo Air KR29000100 White Coated Wire Shelf - 15 1/4" x 20"
This KR29000100 replacement shelf is made to fit select Turbo Air undercounter refrigerators / freezers. If one of your original shelves is misplaced or becomes damaged, simply replace it with this wire shelf to continue organizing your beverages, grab-and-go items, ice creams, and more. An adjustable design with heavy-duty polyethylene coating prevents rust and keeps temperatures even throughout the cabinet. It is designed to fit on select 48" JUR, JUR-G, and JUF models, and it serves as the left shelf on 72" JURF models.